The Huilo-Huilo Biological Reserve in the Andes Mountains of Chile is one of Spot Cool Stuff’s favorite travel destinations in all of South America. Next month we’ll be publishing a review of the reserve itself — follow us on Twitter, join us on Facebook and return to our travel review blog for that. In the meantime, here’s our look at two of the unusual, and amazing, places to stay within the reserve: The Hotel La Montaña Mágica and the Nothofagus Hotel & Spa. Let’s start with the Magic Mountain Hotel. It’s hard to decide whether staying here is like a CGI scene come to life from the movie Avatar or more like an elven abode a la The Lord of the Rings. Either way, a stay here is other-worldly. 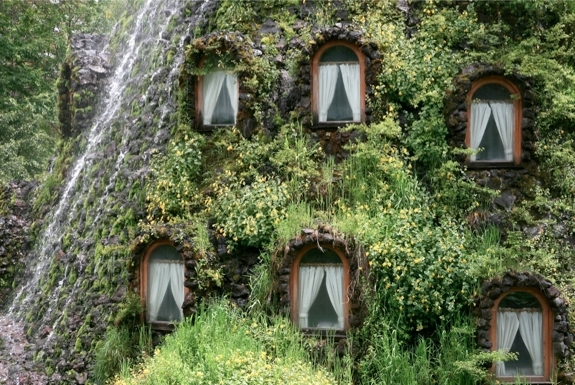 On the outside, the hotel is made of rocks formed in the shape of a volcano. Except, instead of spewing lava (that would be dangerous), water pours out of the top. Over the years, moss, ferns and even flowers have taken root between the water-drenched rocks, such that whole sections of the hotel’s exterior are so covered in greenery that they blend into their forest background. Inside the hotel, stone and water give way to windows and wood. Seemingly everything — the walls, the floors, the furniture — is constructed from locally, sustainably sourced wood. Though it does not always seem like everything was constructed by a professional carpenter. In spots the floor are planks do not align and sawed-off branches stick out awkwardly. It all feels a bit rickety in a way Spot Cool Stuff sees as charming but some luxury-seekers find off-putting. The same analysis can be made of La Montaña Mágical’s 13 rooms — they’re comfortable and atmospheric but not in danger of being mistaken for the digs at a Westin. Each has a comfy bed and en-suite bathrooms but are otherwise sparsely furnished. Because of the hotel’s volcano-like shape, the rooms get smaller as you move up levels. On the bottom floor are the so-called suites; these are roughly the size of your typical hotel room in the United States. On the top floors of the hotel, the rooms are so small that they can only accommodate a bunk bed. Consider splitting the difference and getting a room in the middle. Ask for one on the waterfall side and fall asleep to its sound at night. Inside the hotel, there’s also a children’s playroom, small reading room, restaurant and a cozy bar (pictured at the very top of this post). 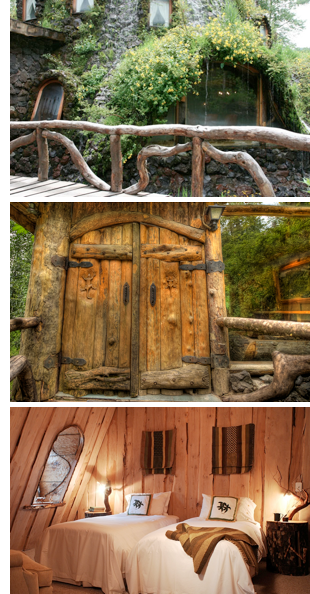 A night in the Hotel La Montaña Mágical will set you back US$300 for two people with buffet breakfast. Generally speaking, the Nothofagus is a larger, more solidly-built and slightly more luxurious and expensive version of Hotel La Montaña Mágical. 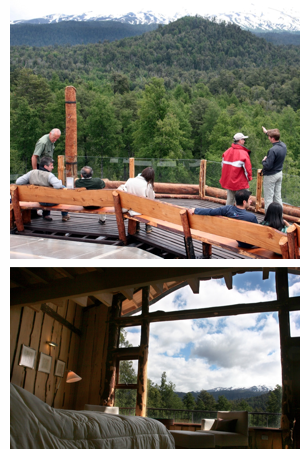 There are a lot more public hang-out areas, including lounges, a bar and a viewing platform. There’s also a pool and spa, usable by guests of the Magic Mountain too but much more accessible if you are staying in the Nothofagus. As for the rooms, there are four categories to choose from. It’s worth upgrading to at least a “superior” as these have balconies. They cost $340/night for two people. Choosing between the La Montaña Mágical and the Nothofagus is mostly a matter of personal preference and budget. 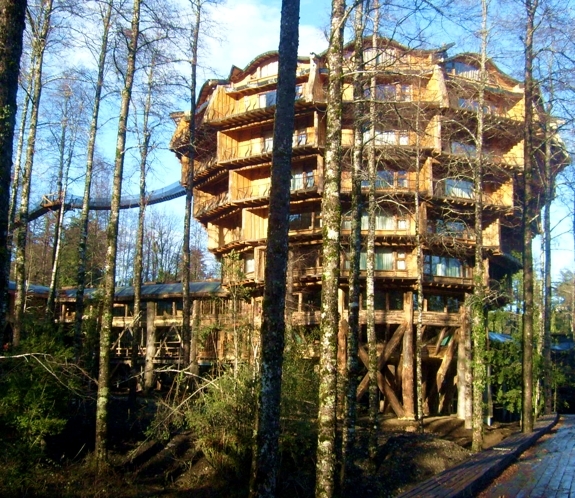 Both put you right in the middle of the Huilo-Huilo Biological Reserve. 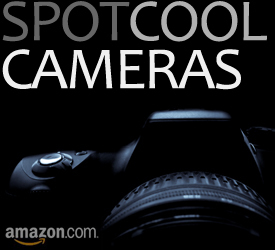 More on that in our post next month. These hotels are very unique. Too bad most of the hotels in the LA area do not offer anything close to this.